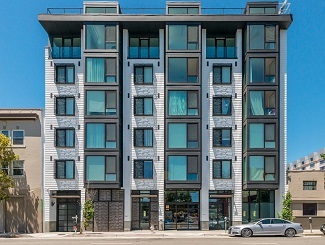 When you think affordable housing, you think $600,000 for a condo, right? With a $12,000 down payment, that would be $3,557 per month for 30 years. Maybe that’s why a new term has arisen in the real estate market, attainable housing. Under the new rules, old safety precautions are ignored. Once, homebuyers were advised to spend no more than 25% of their income on housing – a joke in many areas today. So now, some FHA loans let people pay 41% of their income for housing. And if they lose their jobs and their home, their biggest asset, the only thing they have to pass on to their children is tough luck. One of the biggest areas in which money has gone from the poor to the rich is housing. Though, in a few cases, poor people have hung onto a house long enough to see a large gain, fewer and fewer houses from the days of opportunity still exist. Now, a house, like an education, has become a costly and risky bet for poor and even middle-class people. It shimmers on the horizon, offering security and value, yet bristling with dangers, dangers that wealthier people don’t face. Those with large assets were able to buy foreclosed homes during the downturn, hang onto them until the market rose, and resell or rent them at a hefty profit. Former home-owners? They may be renting the same kind of house they once tried to buy and are paying as much or more. This means they will never save enough to try buying a house again. Their housing money will always go to someone else, and when they die, they’ll have little to leave their children. So how can non-rich people escape the market-devised traps of lending without government intervention? I see no way. Lita Kurth grew up in rural poverty in Northern Wisconsin, but excellent public schools, low tuition, and a modicum of financial aid allowed her to attend college (University of Wisconsin). Starting out as an historian at UC Berkeley, she switched gears, working as a fund raising researcher and grant proposal writer until returning to get a degree in English Composition (San Francisco State) followed by an MFA in creative writing (Pacific Lutheran Rainier Writers Workshop). She has taught at numerous colleges and universities and currently teaches part-time at De Anza College, retaining a passionate interest in the suffering and injustice that still exists in the lives of poor and working class people, as well as other justice issues. She has published essays, reviews, stories, and poems, and is at work on a novel, The Rosa Luxemburg Exotic Dance Collective. “When you think affordable housing, you think $600,000 for a condo, right? With a $12,000 down payment, that would be $3,557 per month for 30 years.” REALLY??? No that’s NOT what I think of. But then I don’t live in California. I have a 3-bedroom house about to go on the market for $450,000 in a rural area not far from Madison WI. And I know that people looking for ‘affordable’ housing cannot look at this kind of price, let alone the number you suggested! Please! SS’s post v the article: Above dynamic may show even more disparity in certain geographic areas (the doz cities on the coasts, Chitown’n 3 in TX). Thanks for the class/race connection in your article around ‘housing wealth’. Wished you’d detailed it our alill with the historical reality’s addition to what the disenfranchised live today (GI Bill/Red Lining). Keep up the good work, I’ll B lookin 4 the novel!